While USD was under pressure due to PPI and retail sales data, it gained momentum by inflation data and that is the reason of why EURUSD has stayed in middle ranges. The support rests at 1.19270 with resistance at 1.19610 which the weekly pivot point at 1.19360 is located in between the lines. The EMA of 10 is moving with bullish bias in the ascendant channel and it is above the EMA of 200 and below the EMA of 100. The RSI is moving on the 50 level, the Stochastic is showing downward momentum and the MACD indicator is in negative territory. The ADX is not showing any clear signals. 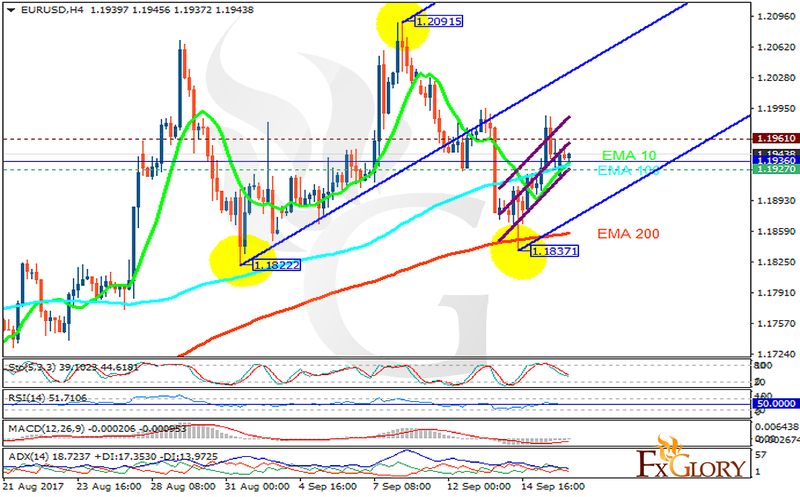 Short term traders can target 1.190 area; however, buyers can also wait for 1.20 area while considering pullbacks on the way.